Update: According to GigaOm, today's Galaxy Gear images are definitely of a prototype, as VentureBeat speculated could be the case earlier. 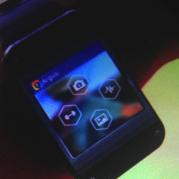 Additionally, GigaOm's sources indicate that the watch will be running Android 4.3 with Bluetooth LE connectivity, a dual-core 1.5GHz Exynos 4212 processor (with Mali-400 MP4 GPU), and the ability to make phone calls. Our original post follows below. 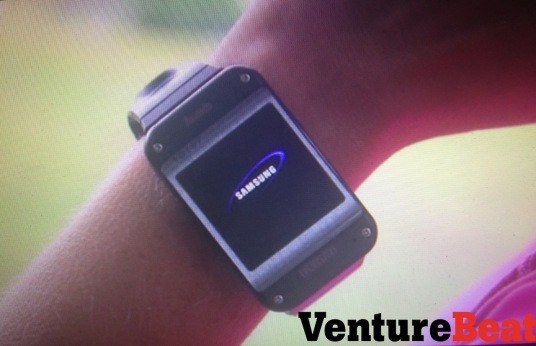 We're looking forward to getting a glimpse of the Galaxy Gear, Samsung's rumored smart watch, expected for an IFA reveal. As is often the case though, we've got a bit of a pre-release treat. VentureBeat's Christina Farr got an introduction to the watch (or at least a prototype unit), and describes its less-than-svelte physique and a few of its capabilities. VentureBeat says the Gear is about 3" diagonally, colored dark gray, and carries with it a 4MP camera "built into the strap" along with tiny speakers. Farr was able to grab stills from an apparent internal promotional video that show us a little more about how the watch functions. 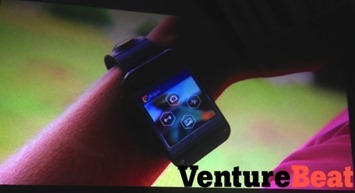 Here are some of the smart watch's other features, according to Farr. Preloaded with Android apps for social media, health tracking, etc. Like other wearable devices, the Gear appears to be … geared … toward fitness tracking, with the option to tag photographed food according to its nutritional composition. It's still unclear whether the Gear will be bound just to Samsung's Galaxy devices, or if it will be more widely compatible with Android. Of course it's also worth noting that what we're looking at could be a prototype device, and its design may not be final. 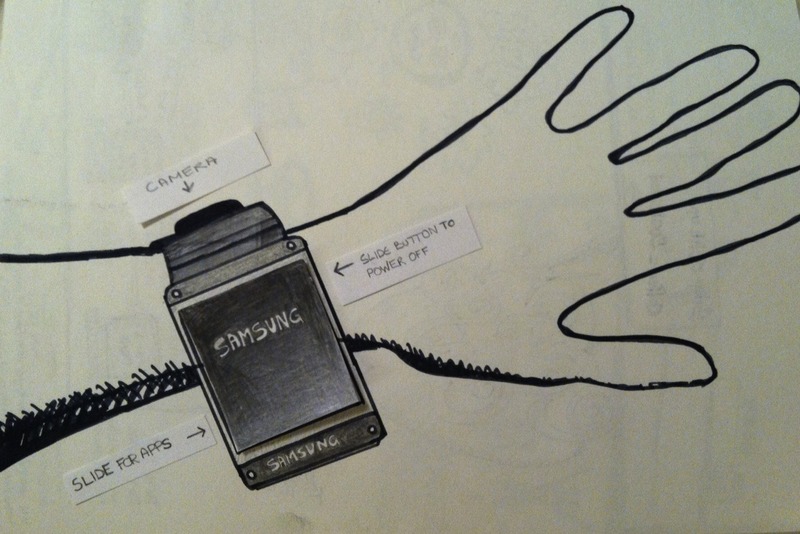 After all, Samsung is known for shielding its unreleased goodies in dummy boxes. We'll keep you posted as more details emerge.